Today my husband drove down the dirt road to our house grinning ear to ear beaming with excitement. If you knew my husband, you would know that he is a simple man and it doesn't take much to get him going. He was giddy because he a truck full of chickens! And not just any chickens- laying hens. 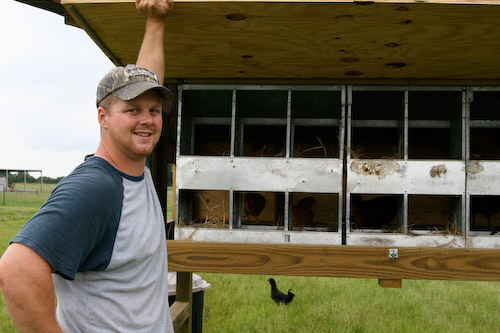 One month prior to getting these hens, he worked non-stop in the barn building a chicken coop- with his bare hands......out of wood.........from scratch. I was expecting for the finished product to be a cutsy country little shed with shutters on the side of the windows and hangy baskets for plants below the windows with a precious little weathervane smack dab in the middle of the roof and painted sage green with white trim. Jason likes to say that I often live in 'Lynsey Land' and in 'Lynsey Land' everything is precious and cute and easy. I have these images sketched in my head of what everything must and should look like. Who needs funtionality when you have hangy baskets and shutters? 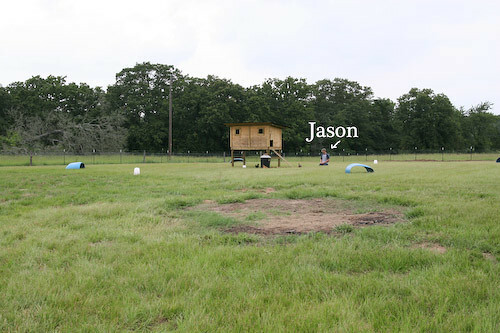 This is when Jason steps in the picture to paint over my far-fetched sketch and bring me back to reality. Instead I got the one and only first ever 'Kramer Koop' (patent pending;). People will be lining up at his door waiting to get their very own coop. 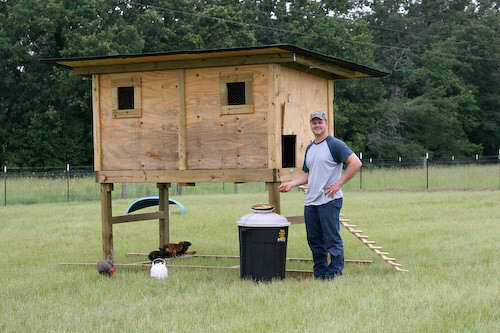 Jason went to great lengths to design this masterpiece to be the best chicken coop that ever existed. 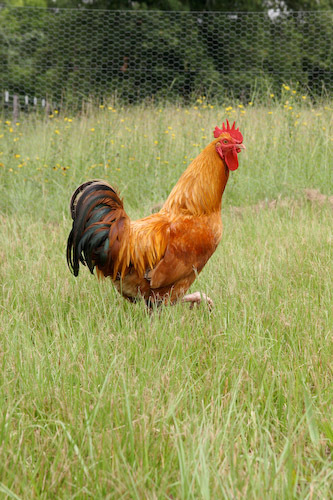 He thought about everything one could possibly imagine when thinking about the lives of chickens living out their days. 'Why is that thing on skis', you ask?.........To be moved around by the tractor so that the poop can fertilize the grass. 'How is the poop even going to touch the grass', you ask?..........Because it has a chicken wire bottom, not wood. This is also a nice touch to keep things sanitary and from touching our eggs before they get to our cast iron skillets. And the list goes on and on. You see, these are the very same questions I had while my husband was creating this egg factory. But, every time I had a question Jason had the BEST answer! His brain blows me away sometimes. Seriously folks, you should see the blueprints for this thing. I'm dead serious about the blueprints......we really have some. There is a rhyme and a reason for everything. 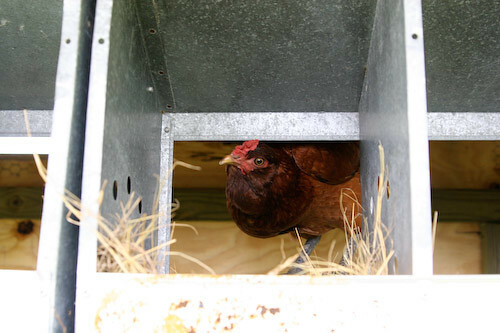 And the best part about this whole new adventure is that we get to enjoy fresh eggs daily. 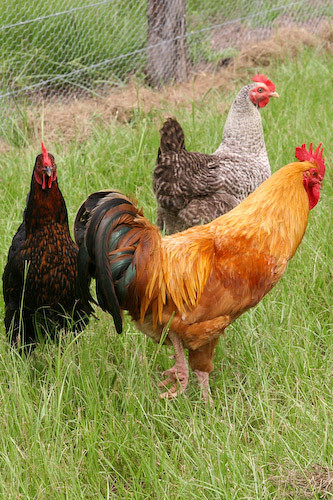 We have eggs of all sizes and colors. They are delicious and good for you. 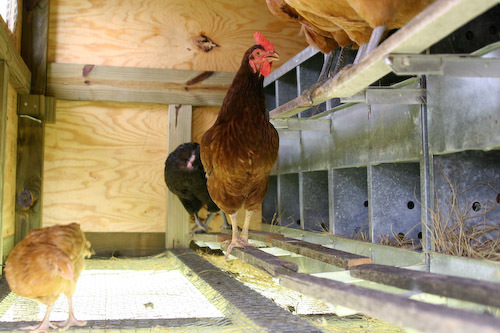 Here are some reasons why eating free-range chickens over commercial-based laying hens are more beneficial and healthy for you. 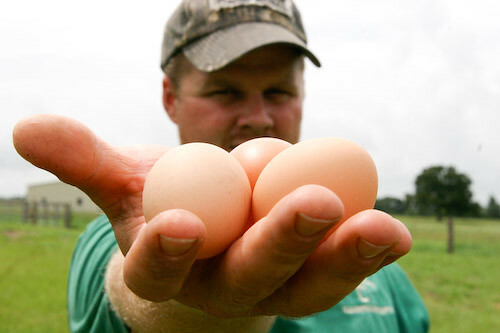 -Eggs that are farm raised are fresh and within days old when consumed. Commercial eggs are approximately 6-8 months old when purchased in a store because the vendors have to stock pile for holidays such as Easter, Christmas, & Thanksgiving. We have our first three eggs sitting in the fridge waiting on us to be our breakfast in the morning. I'm going to be the good wife and graciously give them all to Jason to sit and indulge since there is only three of them. The birds have been here for 3 hours and already making themselves useful. Jason is now beaming from ear to ear every time he walks by the refrigerator because the fruits of his labor are waiting for him to enjoy. He is a precious man......a simple and precious man.